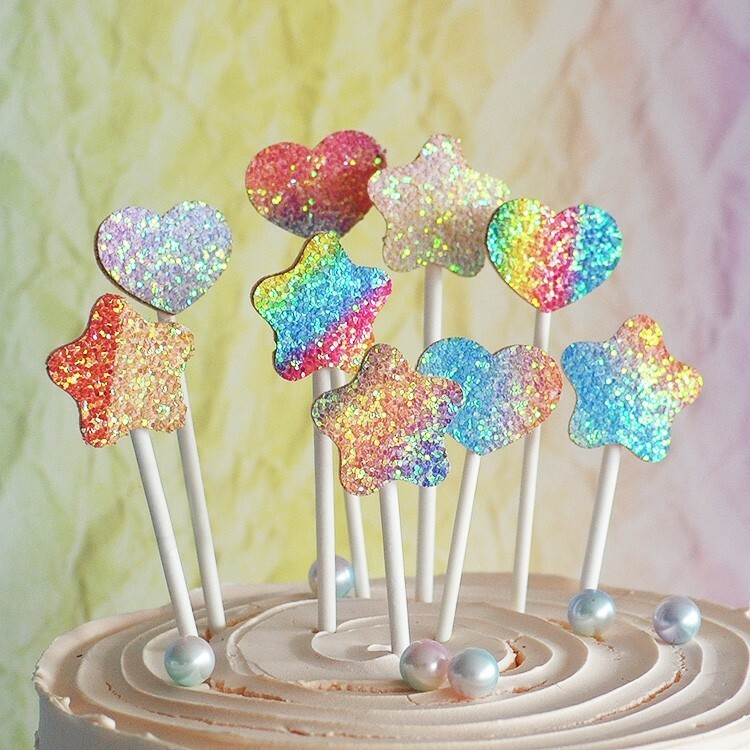 Make your next celebration a dazzling event with the Glitter Cake Topper. Boasting an attractive glitter finish, it has a basic stick design that presses easily into the top of your cake. It's perfect for birthdays, anniversaries and more, it is sure to add a glamorous touch to your party. 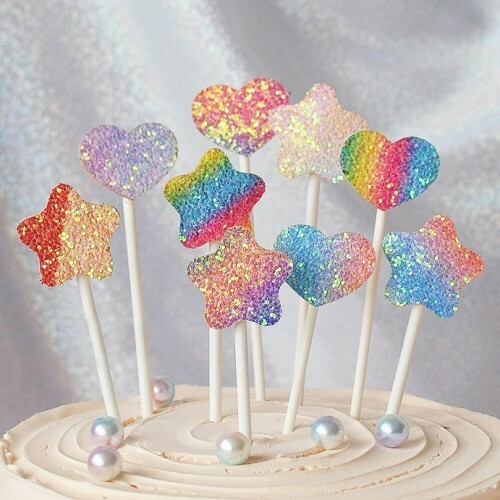 Flitter cake topper is awesome for your events. Price includes 5 cake toppers of your choice of shape. 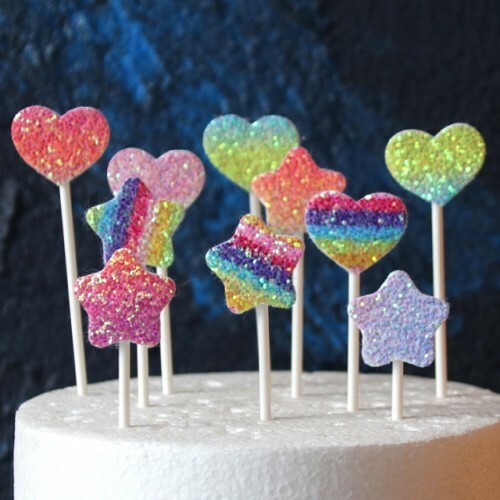 Visit other pages for matching iridescent hanging decorations. 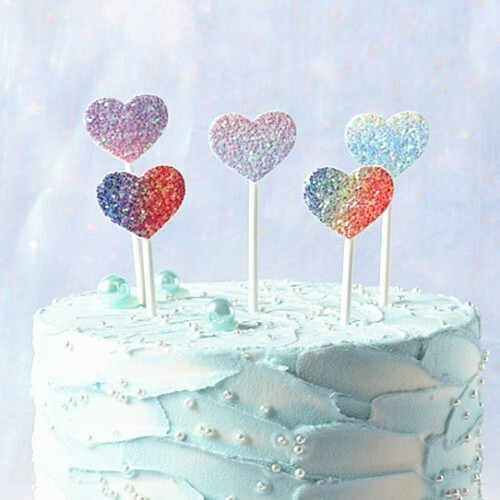 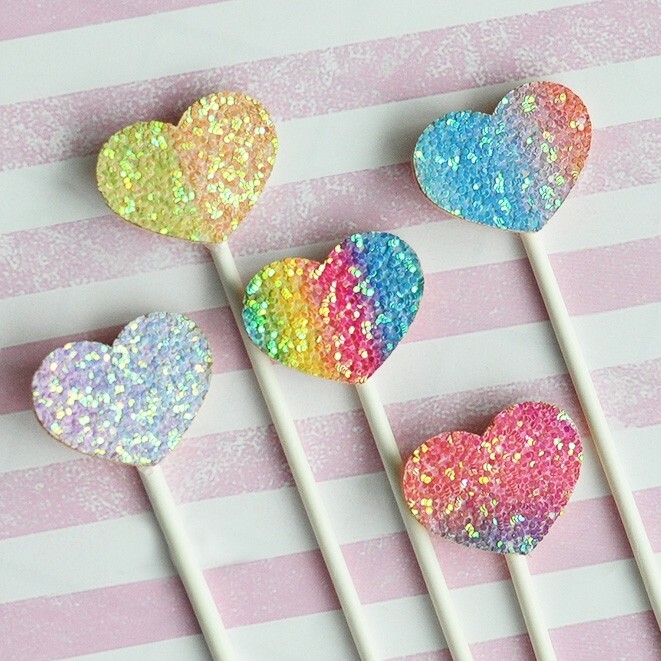 When you select the "Heart" option, you will receive 5 heart cake toppers. 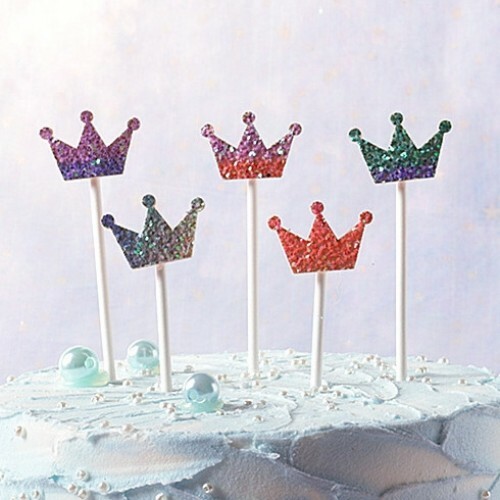 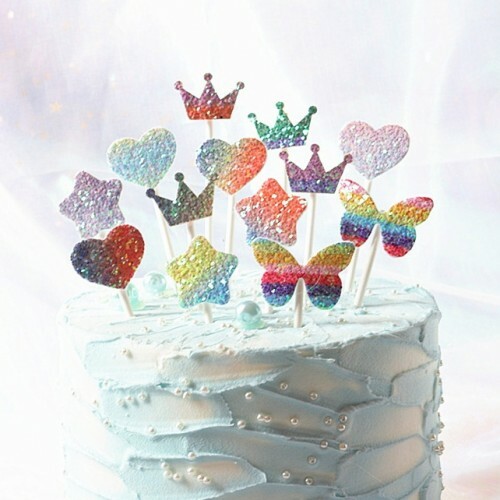 When you select the "Crown" option, you will receive 5 crown cake toppers. 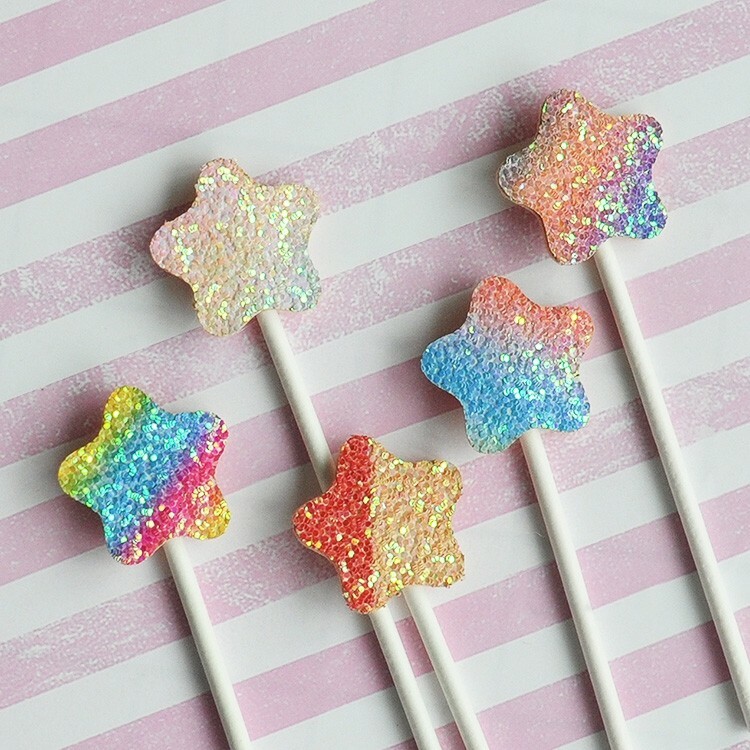 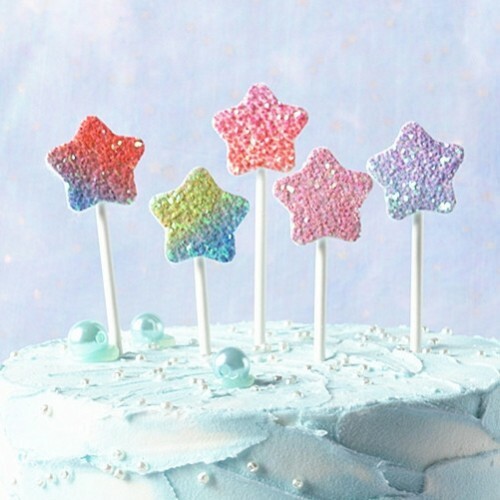 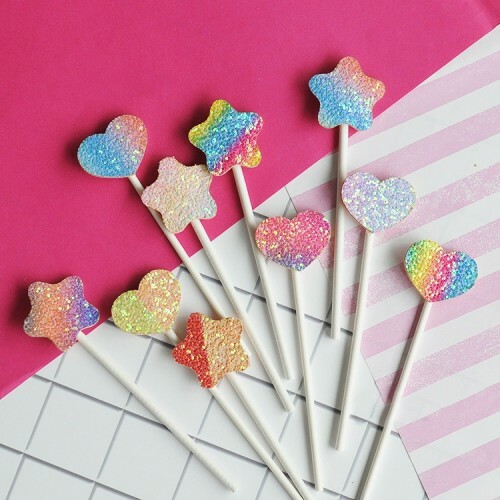 When you select the "Star" option, you will receive 5 star cake toppers. 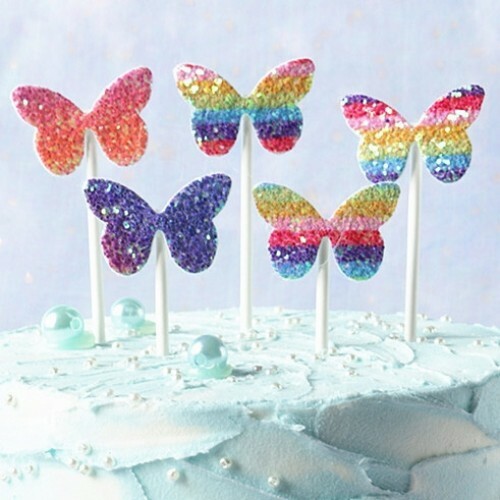 When you select the "Butterfly" option, you will receive 5 butterfly cake toppers.